How Much Does A Landscape Designer Charge? On average, it will cost about $4,406 or between $2,018 and $6,798 to have a landscape designer create a detailed plan for your property. Costs will vary depending on the size and location of the project. For simpler projects, it's also possible to get one to two hours of on-site verbal consultation for $50 to $150 per hour. On the high-end of the scale, name designers and architects charge $6,000 or more for detailed plans and drawings. No matter what your house looks like, landscaping also affects how attractive the whole property is. The key to a beautiful and successful landscape is careful planning and design to ensure maximum value for the dollars you invest. Cost data is based on actual project costs as reported by 2,196 HomeAdvisor members in . Hourly rates range from $50 to $150 with most charging between $50 to $75 an hour. Since hourly rates are open ended, they usually include everything from the initial consultation to design plans and revisions. Consulting fees can be upwards of $200 per hour  though they include a more hands on approach with on-site management of landscapers, gardeners and arborists. Some professionals charge by project or area. Flat project rates are based on the number of hours the designer calculates the project will take. This number will vary with complexity, location and size. They usually include a limited number of plan revisions and typically dont include time spent working with landscapers. Area rates run around $2,000 for one acre (43,560 square feet) and as little as $350 for a quarter acre. In some areas, where yard sizes are uniform, designers may charge flat rates for front and back yards. Design plans can range anywhere from $300 to $15,000 though most fall under $6,000. Some price by a percentage of the overall cost, anywhere from 5% to 15% of the total construction project. Plans are included in most flat rates. How designers bill varies by region and market, though price often equates with quality. Designers test the soil for drainage, acidity, and nutrients during a site visit. This type of soil testing costs between $20 to $100  a cost commonly included in the consulting fees. Plans can take anywhere from a week to a month depending on the size and complexity of the project. An experienced, professional designer takes time to not only plan the layout but determine the best types of trees for the soil, the best plants for the climate, the best variety of vegetation for color and depth, all with future growth in mind. The cost of soil testing, if needed, is generally included in the designers rate. Many landscape designs incorporate gardens  everything from environmental and wildlife to edible and flower gardens. Since designers charge by the hour, area or a flat rate, the type of project wont have much impact on the price. The complexity of the project and the size of the area involved determine costs more than the type of project. Building a butterfly garden will cost about the same as any other type of garden including vegetable garden. The design will cost about $0.03 to $0.10 per square foot. Asian or Oriental - Both Japanese and Chinese design use elements such as bamboo, Zen gardens architecture and Asian flowers. Most of these designs incorporate simplistic and natural materials throughout. Edible Garden - Often part of a larger landscaping project, these provide fresh foods for culinary enthusiasts. They both lower your grocery bill while elevating your yard. Wildlife Gardens revolve around encouraging local wildlife. Planting specific species of flowers and shrubs encourage insect and bird populations. Butterfly gardens are an excellent example, though bee gardens are gaining popularity. Woodland Gardens & Landscaping - These typically incorporate native ground cover plants, trees and shrubs into your landscape. Larger properties already located in woodland settings employ this design. Small garden costs vary by size, location and complexity. Youll spend anywhere from $4 to $18 per square foot after installation. Design costs run in the $0.05 to $0.75 per square foot or about 5% to 10% of the project cost. Complex urban gardens tend to run on the higher end of the spectrum with simple one in rural areas being the least expensive. Xeriscaping, Rain Gardens and Wildlife Gardens all promote environmental responsibility. Though the planning and installation of these gardens cost about the same as any other, theyll save you money in maintenance and water in the long run. These designs use less water and generally no fertilizers, herbicides or pesticides. Instead, they rely on natural resources for irrigation and pest control. Designers utilize permaculture elements  a form of design centered around an ecologically balanced landscape. Xeriscaping is landscaping your space in ways that reduce or eliminate the need for water. Though best for regions that do not have easily accessible or reliable supplies of fresh water, it is gaining acceptance in other areas as climate patterns shift. Saving water: For most of North America, over 50 percent of residential water goes to landscape and lawns. Xeriscape can reduce outdoor water use by 50-75 percent. Improves property value: A good xeriscape can raise property values, offsetting the cost of installation. Many people find their own plants and other materials may not be compatible with each other or with the site. There is also some risk of not accurately planning for normal growth patterns of plants or changes over time. Hiring a designer saves a lot of money over the life or your landscape. While freelance designers help you decide placement of a pond or plants to purchase, most will not help with the installation. Some firms and consultants will oversee installation. A few offer both planning and installation services in-house. Avoid replanting due to uninformed gardening choices and placement. Increase your homes value and curb appeal. Extend usable living space outdoors. Material costs are separate from the design costs. Your designer will usually suggest materials to use along with the plants and other amenities youll want included. Most of these suggestions are discussed in the first consultation and site visit. If youre open, theyll offer more suggestions with the plans. Designers usually recommend materials that best fit the design, your budget and your home. You can expect brick and paver recommendations for patio and walkways and woods for pergolas, decks and planters. Patio, deck and walkway materials cost vary based on quality and quantity. Your professional has a good sense of how the varied materials cohesively unify the design, though you can always ask about cost-effective alternatives. 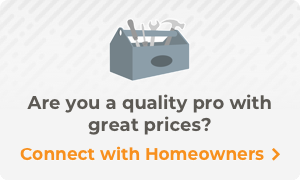 They usually know the best places to buy materials, though youll want to compare. Research your options and make sure only high-quality materials are available for the right price. There are many landscape material supply companies around, and most of them will offer delivery and ideas for your landscape. Look for a wholesale distributor that is open to the public. Itll cost about the same to hire an architect as it does to hire a designer. Just like a home designer and a architect  one focuses on look and feel while the other is versed in structure and stability. This is a legally protected title in most states that requires a college degree and state licensure. When you need a complex job that includes things like a retaining wall, grading land or restructuring the soil, you should call an architect. Many also do design work inclusive of the larger project. Architects work on both commercial and complex residential projects. How is a Designer Different from an Architect? Designers have no licensing requirements. They tend to have a design, horticulture or nursery background. Always ask to see a portfolio. Quite a few landscapers are backyard design specialists  usually revolving around in-ground pools, hot tubs and outdoor kitchens. These specialists often work directly with the installation contractors. They create designs specific to your property. Most work just as a designer  doing a site visit and creating a landscape plan for your contractor. Others work as consultants who take a more hands-on approach to the entire project. When Should You Hire a Landscape Consultant? Landscape consultants cover the entire process. They take care of all the design and installation planning, often hiring and supervising contractors. Should You Hire a Freelance Consultant or Someone from a Design Service? If youre on a budget, a freelance designer may be the way to go. A design firm has more eyes on every project assuring fewer mistakes and a more comprehensive plan. Though a firm is usually more expensive, they also provide more comprehensive services. What are the Benefits of Hiring a Landscape Designer in Your Area? Increases curb appeal and home values. They promote local ecology and horticulture. Theyll know the best landscapers, greenhouses and contractors to work with. What are Some Questions to Prepare for Your Designer? Do you bill be project, area or hour? Whats included in your service? Can I see your portfolio and talk with previous clients? Designing your own yard or garden only takes about $20 to $200 in software purchases. There are even a few free online sources. But, a DIY job can end up costing far more than what a professional landscape designer charges. Do you know what plants work well and look good together? Which plants do best in your soil type and climate? There are many variables a DIYer might never think of while a quality designer guarantees a beautiful yard every summer. A DIY garden might look good in the spring, but how well will it hold up year after year? The initial investment you spend hiring a landscape designer pays off over time. Id like someone who consults and does the job . My yard area is small enough <5,000 sq ft where a one on one conversation at NO cost / per hour is preferable. Specialized Landscape Contractors, who have an Education (often from a University) usually have design experience. They may hand draw, or computer draw, a design for you. Many, like myself, will put a design (a planting plan) together as part of the bid. Rarely does a good contractor put a price on a business card, rather they educate the client, and a plan is part of that process. Generally, the contractor will NOT leave the plan with the owner- for obvious reasons- to insure that intellectual property is not pirated! Imagine that! If I am REALLY interested in a quality project, say over $5000, I will draw 3-D pictures to show what it will look like on completion. Other contractors use computer programs to "draw". "No fertilizers or pesticides: Using plants native to your area will eliminate the need for chemical supplements." I suggest you talk to a Horticulturist AND a Designer. Even Native Plants need to be established. And putting the wrong plant in may INCREASE your maintenance and pest control!! For Example: If you plant grasses next to entry ways....you will have bugs in the house. Please explain how to obtain a landscapers contract number. Each State has a regulatory board or commission. You can look up the number on the net for each State.